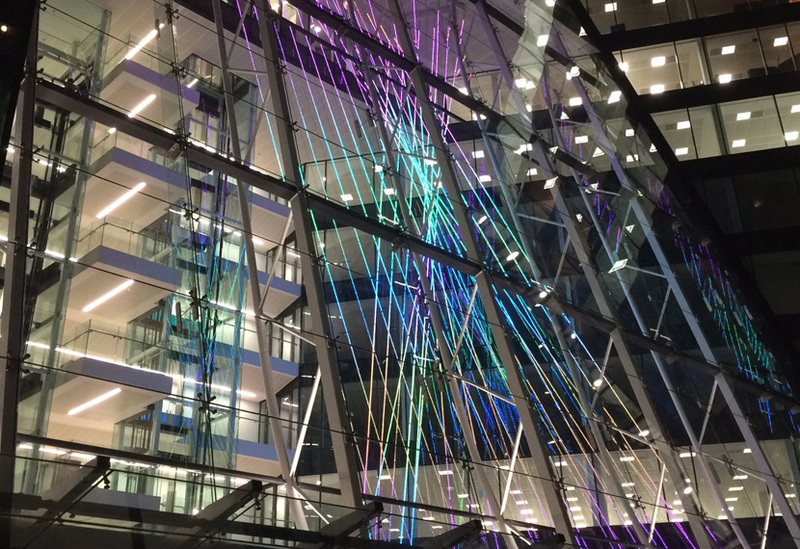 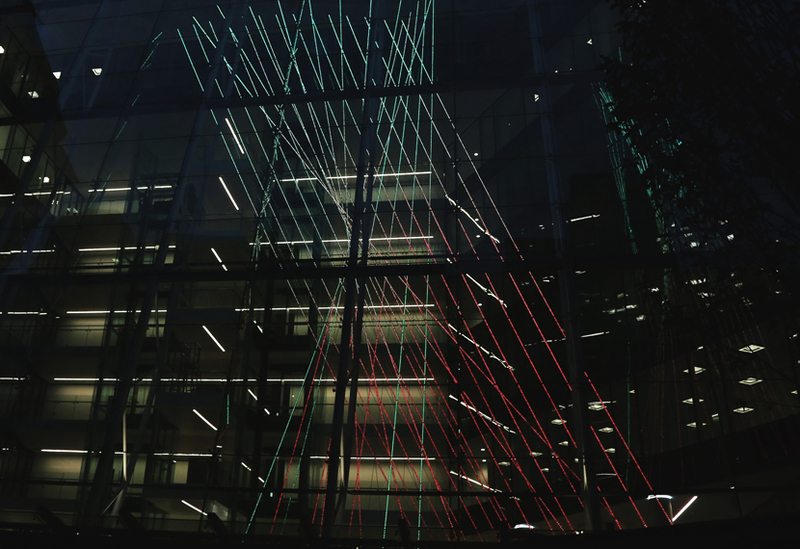 This 25-metre high installation creates an animated focal point in the atrium of a brand new development, responding to the architecture and also weaving in a variety of responses specific to the site and its history. 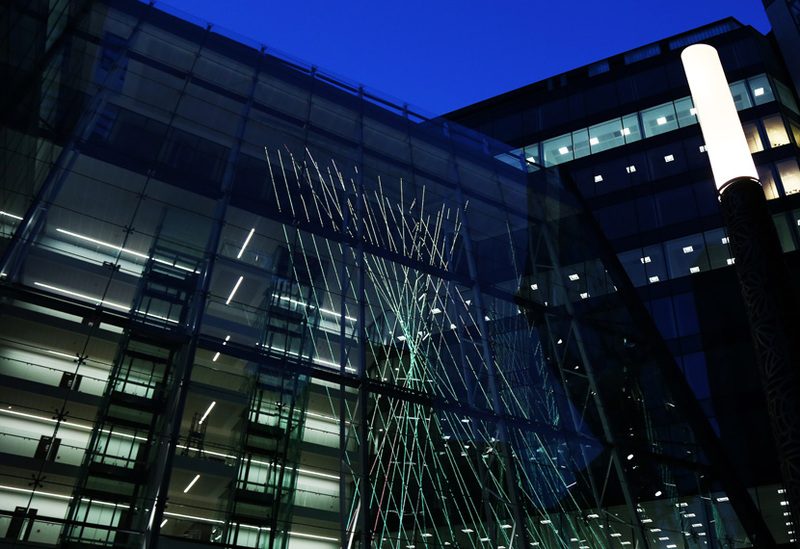 The project combined our structural design and engineering skills as well as steel fabrication and electrical component manufacture. 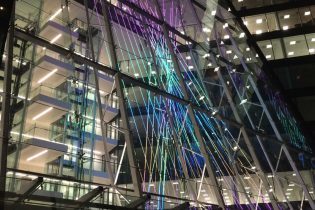 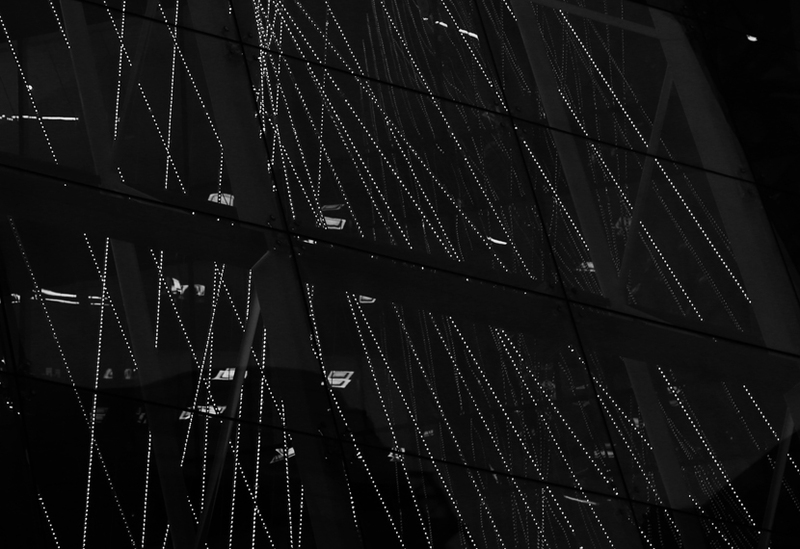 Two offset triangular steel frames suspend an arrangement of fifty-four steel wire ropes, twenty-five of which conduct a 24W current powering bespoke LED modules. 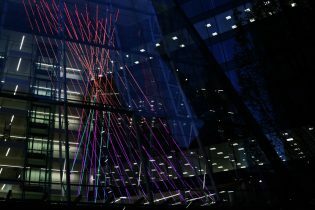 We worked with lighting specialists Blinding Light to develop and manufacture these modules. 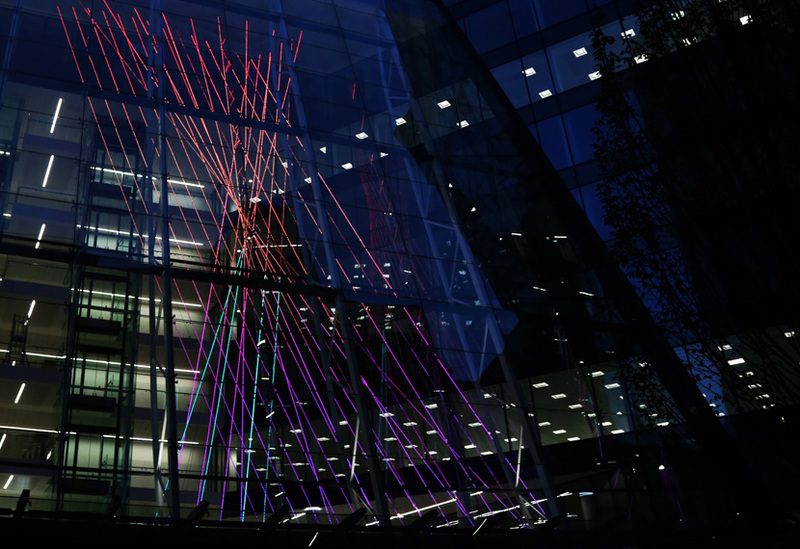 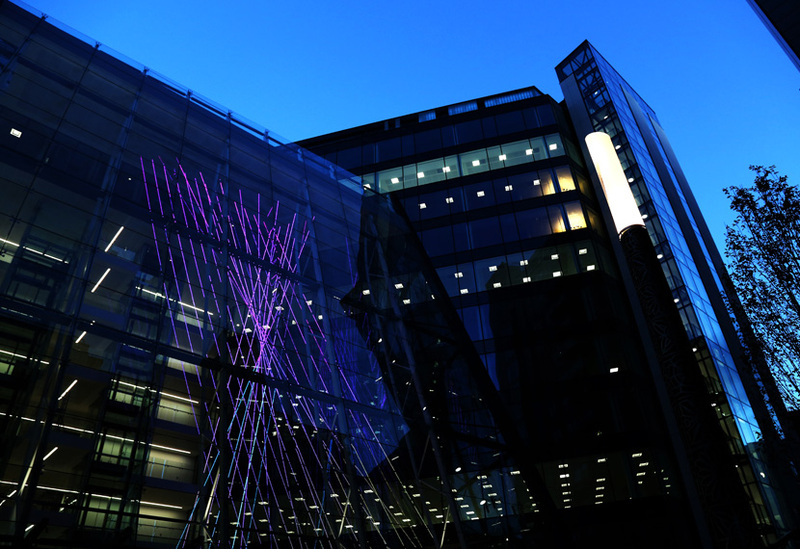 Each LED module is individually controllable and programmed to deliver a range of lighting effects: pulsing, chasing and changing colour in response to a range of events such as time of year, time of day and even references historical events; times and dates being translated into cues. 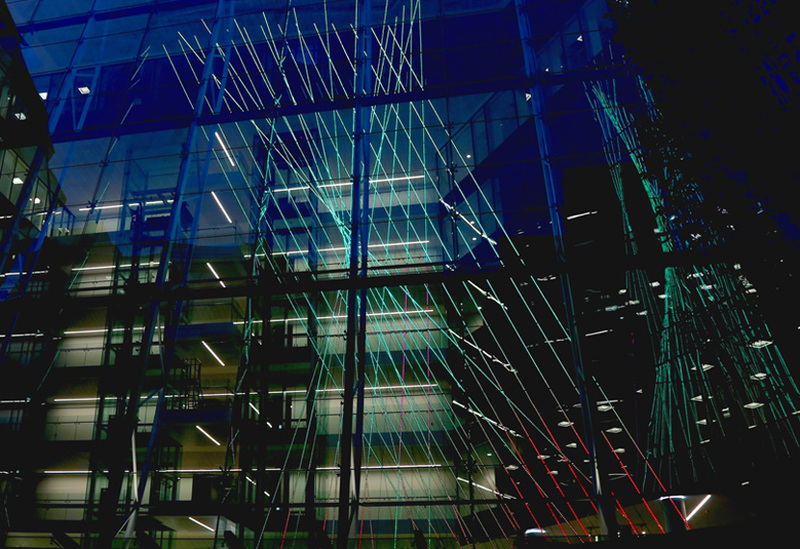 The collaborative nature of this project helped achieve the artist’s intent of a dynamic and constantly changing storyboard.